Annie Mae McClain's hat collection was notable even in a community that regarded wearing hats to church as the fashion statement of the week. Miss Annie Mae wore her extensive array of hats, from elegant to sassy, in a wide range of colors, fabrics, and materials, to services at Tabernacle Community Baptist Church in Milwaukee. 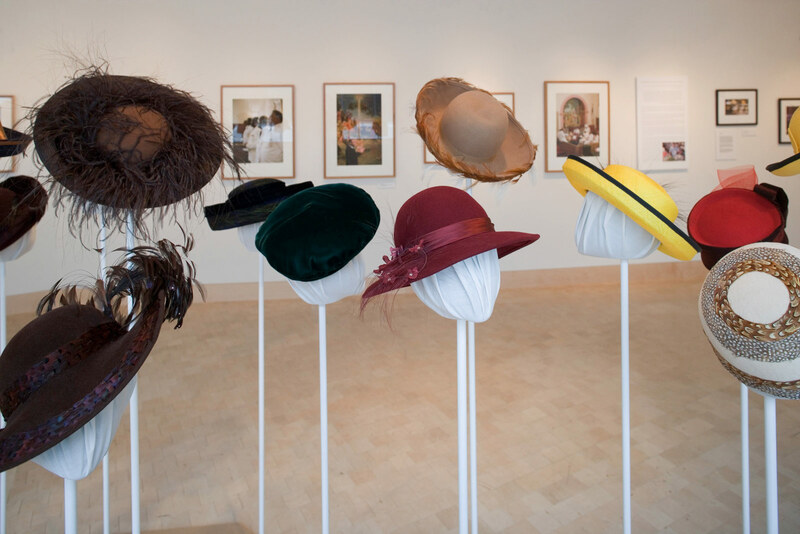 This exhibition explored the tradition and significance of African-American headwear, including its African roots, the art and craft of millinery, and the community bonds forged by wearing hats to church. Learn about, engage with, and enjoy contemporary art by Wisconsin artists at James Watrous Gallery.